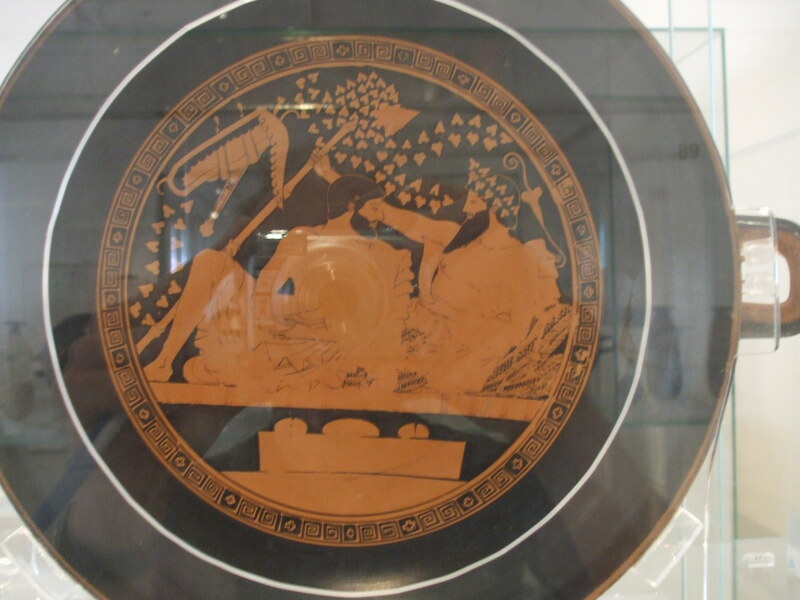 Ancient Athens’ democracy had roots in its earlier aristocracy. Life in early Athens formed ways of thinking that encouraged democracy to develop. 1. The basileos, who assumed religious duties that Athenians imagined a king to have. 2. The polemarch, who led men in battle. 3. The eponymous archon, who held jurisdiction in civil matters. The decade in which he was in office was named after him. Over the decades these big boys limited the power of any one archon. In 683BCE, an archon’s tenure was shortened to one year, and 9 archons, instead of 3, were elected. 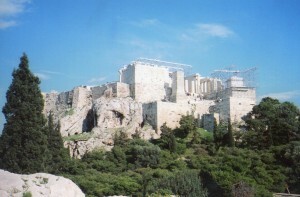 Unlike ancient China, Athens wasn’t centered on a palace. Many people shared political power. But in the 7th century, this sharing was still between aristocrats. After his year in office, an archon joined the Council of the Areopagus, which advised the presiding archons. Each member enjoyed his place in the Areopagus for life. He also enjoyed a pretty good view–the above shot’s from the hill of the Areopagus. The Parthenon wouldn’t be built for more than 200 years, but a former archon would still have a sweeping view of the city, and he would have looked down on the Agora to the left of the Acropolis. 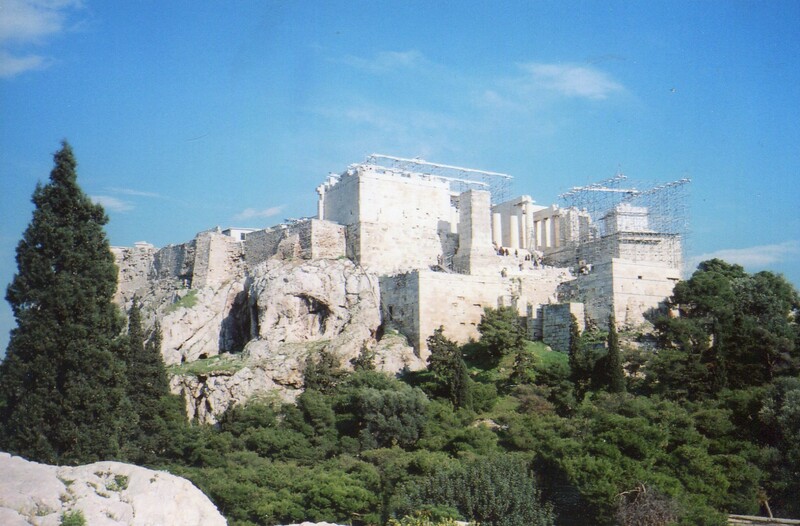 The Areopagus was notoriously conservative–it stood for the old order. But even under this system, life in Athens was a multiplicity of perspectives–people who were roughly equal vied for prestige. No one man ran the show, and nobody built a palace close to the scale of ancient China’s. 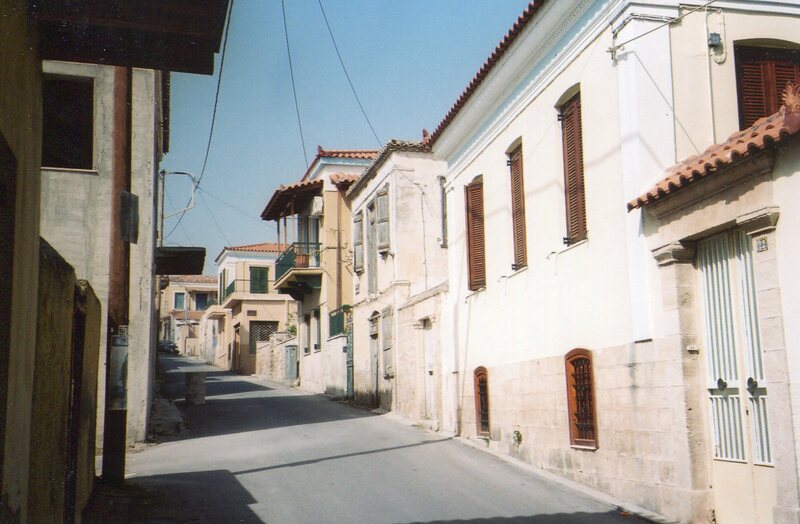 Most of the largest houses in ancient Greece were about the size of a modern upper middle-class home. So life in Athens resembled life in ancient Greek colonies. The world was partitioned between distinct domains which had roughly equal power–it was never the single unified field which China imagined the universe to be. But changes were brewing in Athens, which you can read about in the next post.